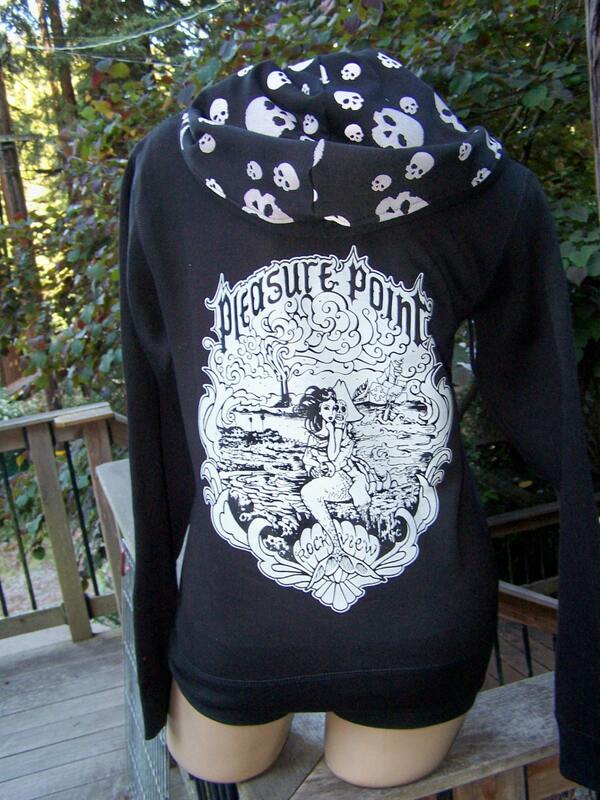 ROCKVIEW Mermaid and Sugar Skull Pirate Full Zip Sweatshirt! 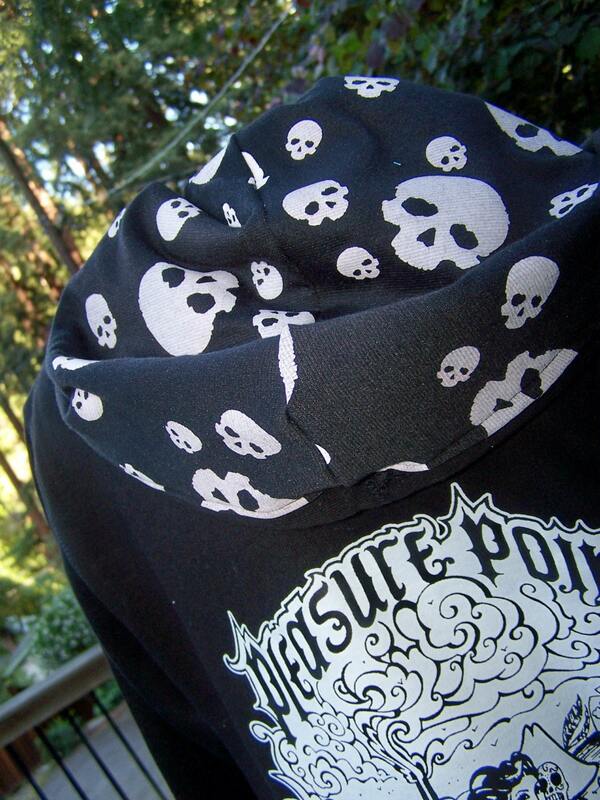 Skull print hood!! FREE SHIPPING!! ROCKVIEW!! Mermaid and Sugar Skull Pirate!! By far one of the top sellers in my line! Rockview is my "spot" on the Monterey Bay right past Pleasure Point proper in Santa Cruz CA...so many great memories!! 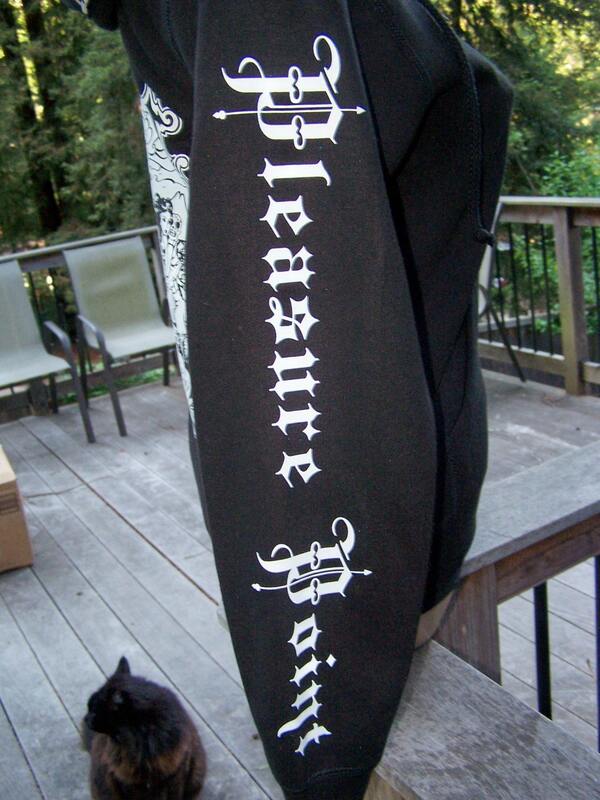 Front left breast and right sleeve printed with our Pleasure Point text logo! Really thick 9 0z. 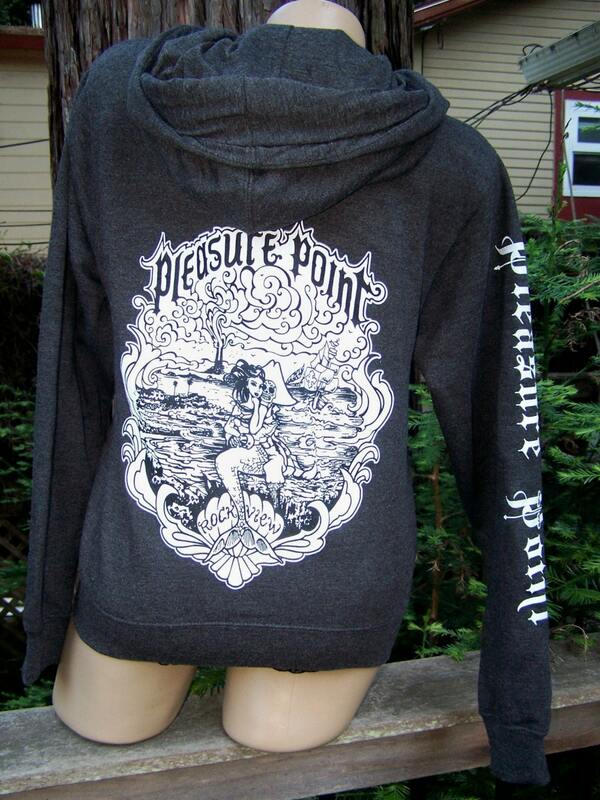 80% cotton 20% Poly full zip sweatshirt..great quality! Soft and yummy. Sweatshirt is available in black or charcoal heather...plain hood or lined with black Poly/cotton knit with printed skulls! Completely machine washable...tumble dry low...this sweatshirt will give you years of enjoyment and compliments wherever you go! Also available in Men's sizing..please convo for details.